(Gluten-Free, Sugar-Free and almost guilt-free ;P). For those who don't know me well in the kitchen or know my eating habits, I love using organic and healthy ingredients (e.g. super foods) as much as possible…and I never keep any sugar in my pantry. So if you ever come for a visit, expect to be served with a healthier alternative if you have tea or coffee (e.g. honey, agave syrup, stevia). And I can understand that buying organic goods are usually a little bit more pricey than the usual generics so you can still opt for non-organics as long as you follow the essential ingredients below. And I’m sure it’ll still taste great. Pre heat oven to 180C / 350F and line ramekins or foil mini cases , smear coconut oil or butter around the sides. Soak the chia seeds and pitted dates with the baking soda and water for 5 minutes. Combine butter, coconut oil, agave syrup or honey and the chia & date mixture in a food processor and 15 sec until well combined. Pour eggs, vanilla extract, flours and baking powder and further process until well combined. Lastly slowly fold in the extra chopped dates and walnuts to mixture. Spoon mixture evenly into the foil cases or ramekins and bake for 25-30 minutes until golden brown. Test by pricking the centre with a toothpick, if it comes out clean then it’s done. Allow to slightly cool down. Put butter, coconut cream, spices and agave syrup or honey into a shallow pan. Allow to simmer and bubble lightly on medium heat for about 5-7 minutes until mixture has thickened but still runny, and color has darkened. 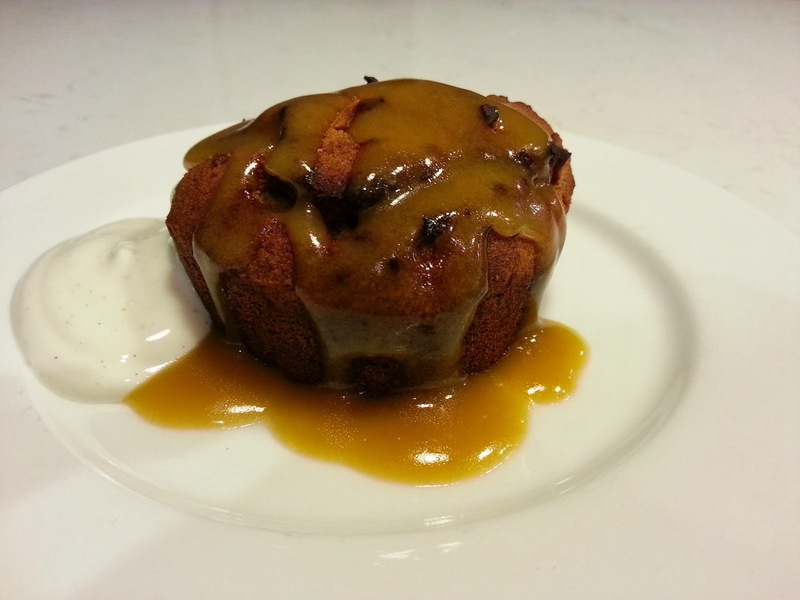 Remove the pudding from ramekins or cases into a serving plate, slowly drizzle the warm coconut caramel on top. Serve a dollop of yogurt on the side.